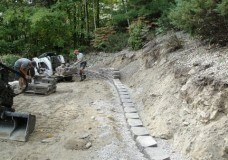 This 60-foot grade change was achieved using tiered walls and slopes. 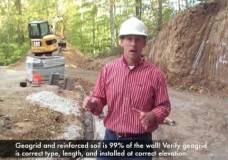 Maximum geogrid length was 50 feet long. Deep undercuts to shale and limestone bedrock were required to achieve global stability. This is a really good video. It hits all the main points in under 4 minutes. 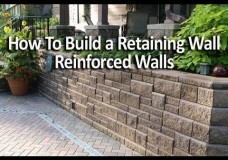 I frequently recommend this video to wall contractors (even experienced ones) and to homeowners, as well. 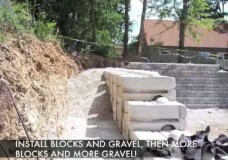 How to Build a Retaining Wall in 2 Minutes!